Tony Gwynn has long-been a hero to baseball fans who are familiar with his four National League annual batting champion titles. In this video, he shares some of his best tips, including how to maintain the proper batting stance and knowing when to use contact hitting instead of power hitting. He also gives tips on improving one's timing so that an easy ball won't be missed due to an early or late swing of the bat. 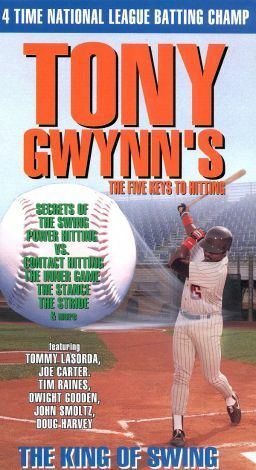 Gwynn takes time to cover certain aspects of the "inner game" of baseball that can help batters stay on top of their game, even when under tremendous pressure.